home » community » News » Your Superannuation: How might a change in government impact your nest egg? Your Superannuation: How might a change in government impact your nest egg? The next federal election is just around the corner, and if the opinion polls are anything to go by, it seems as if we’ll have a Labor government in power by May. With that in mind, let’s have a look at Labor’s proposed amendments to superannuation laws in the upcoming financial year. Making non-concessional contributions (NCCs) to your super fund is one way many Australians have chosen to top up their super to prepare for retirement, or for investment purposes. Currently, the annual cap on NCC’s stands at $100,000, however Labor is proposing to reduce that to $75,000. Also, the current ‘bring-forward’ rule can be used by a person who is under 65 years of age and they can make three years’ worth of NCCs in one year. This means under the current rules a person in this situation, nearing retirement for example, could theoretically contribute up to $300,000 into their superannuation; whereas under the proposed new rules that would max out at $225,000. Remember – this only applies to those who have less than the Total Superannuation Balance cap of $1.6 million per person. An attractive aspect of making personal contributions to your super is the fact that concessional contributions are deductible (up to $25,000 p.a.). While compulsory employer contributions do factor into this total, topping up the remaining portion can be a great way to invest that little bit extra. Labor has announced that they will abolish the tax deductibility for personal super contributions, regardless of the amount or how much is put in through your employer’s Superannuation Guarantee payments. At the turn of the 18/19 financial year, the Government introduced a scheme that allows people with total superannuation balances below $500,000 to make catch-up concessional contributions. This relates to the $25,000 concessional cap, which can be carried forward for up to five years. This basically means that a person could combine five years’ worth of the unused portion of their concessional cap and contribute in one go. Labor has indicated that this too will be abolished should they be elected. Also on the threshold subject, Labor have announced that they will phase out the requirement for employees to earn more than $450 per month before employers are required to make super contributions on their behalf. The Australians who will see the most benefit from this will be casual and part-time workers, and also those who hold down several low-paid jobs. This change will not be introduced at once, however, instead brought down by $100 increments from 2020 onwards until it reaches $0. Currently, the Federal Government’s paid parental leave scheme provides $719.35 per week for 18 weeks to those women who meet a work test and earn less than $150,000 per year. At the present moment, there is no superannuation contribution attached to the scheme. If elected, Labor promises to legislate to pay the superannuation guarantee of 9.5% to those receiving income from the scheme. This equates to $68.34 per week for the entire 18 week period ($1,230.12 total) in the recipient’s super fund, either directly from the government or via their employer. The changes that may arise if Labor come into power in Australia affect different people in different ways. Remember, though, that there are a number of proposed superannuation changes that are potentially going to be brought in regardless of the federal election result. These include the progressive increase to the SG rate up to 12% by 2025/26; the prohibition of direct borrowing by superannuation funds, and the incremental increase of the pension age to 67 by July 2023. If you have any questions about your superannuation obligations to your employees; or are unsure about how these potential changes may affect you as an employee or a business owner, get in touch with McKinley Plowman today on 08 9301 2200 or visit www.mckinleyplowman.com.au. We’ll help you understand what this means for you and ensure you remain compliant within what can be a very complex system of rules and legislation. Aaron has over twenty years of experience in the financial services industry working with large companies and small businesses across all aspects of financial planning. 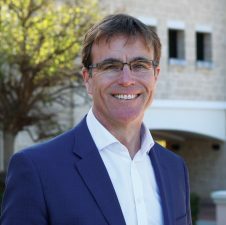 He has broad experience across superannuation (including self-managed superannuation), investments, estate planning and personal insurance, retirement planning and business succession planning. Aaron is passionate about the value of professional, client-focused advice and enjoys working closely with clients to help them make smart decisions with their money, as well as aiding them to clarify and achieve their financial aspirations. Aaron McCracken of MP Wealth (WA) is an Authorised Representative of Count Financial Limited.